This 2.8 mile paved path is another crucial element to Anchorage’s urban trail system and is close to downtown. It stretches from the Mountain View Neighborhood in the east all the way to Alaska Railroad Depot (where you can connect with the Tony Knowles Coastal Trail). The path is mostly wooded, and it follows the same route as Ship Creek, so it’s a good opportunity to spot salmon and creatures (human and otherwise) who fish for them. The bridge crossing over the Alaska Railroad tracks is also a treat. 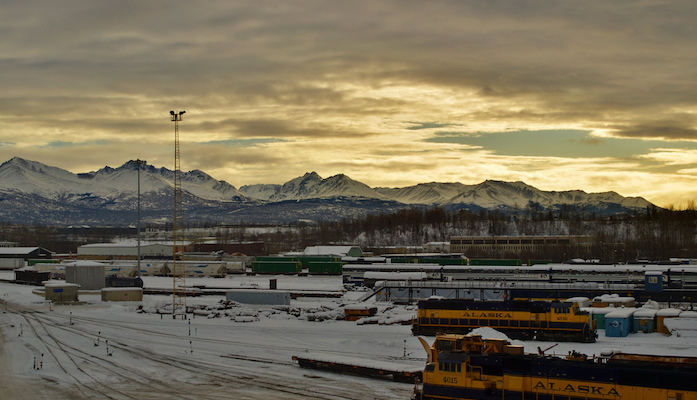 For those situated close to town, do an out and back from Anchorage Depot — the run is about 5.6 miles total.